The 5 best places to see the fragrant plum blossoms of Kyoto! 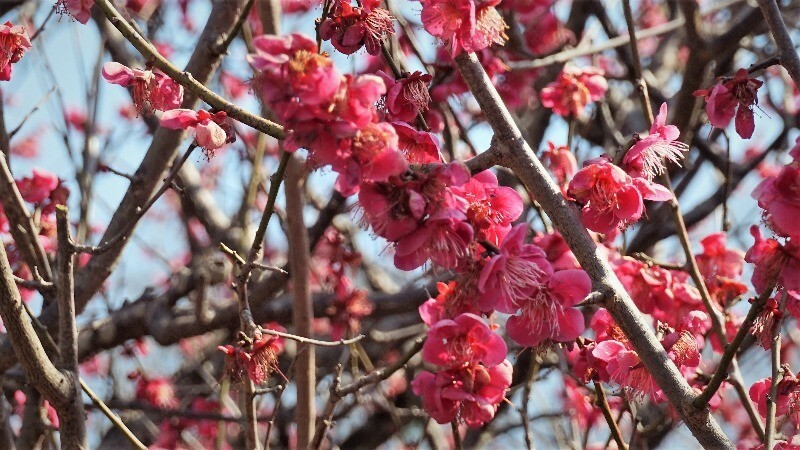 The plum blossoms mean the coming of spring in February and March in Kyoto. 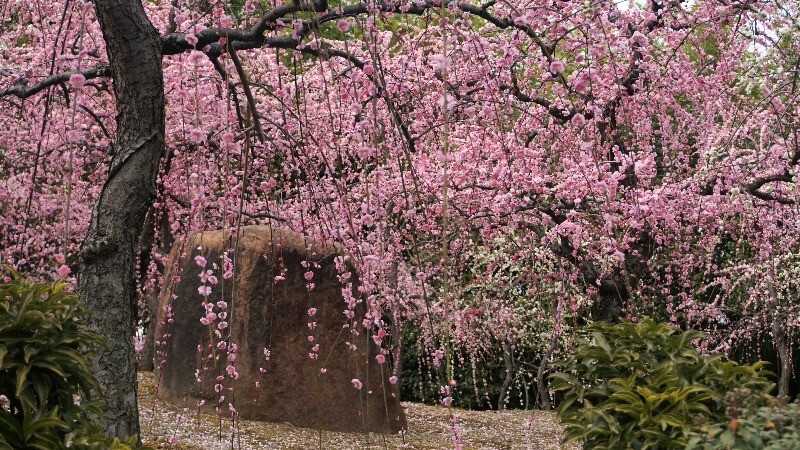 So here are the 5 best places in Kyoto to see plum blossoms! Really many people come to Kyoto every year to see the cherry blossoms and autumn leaves. 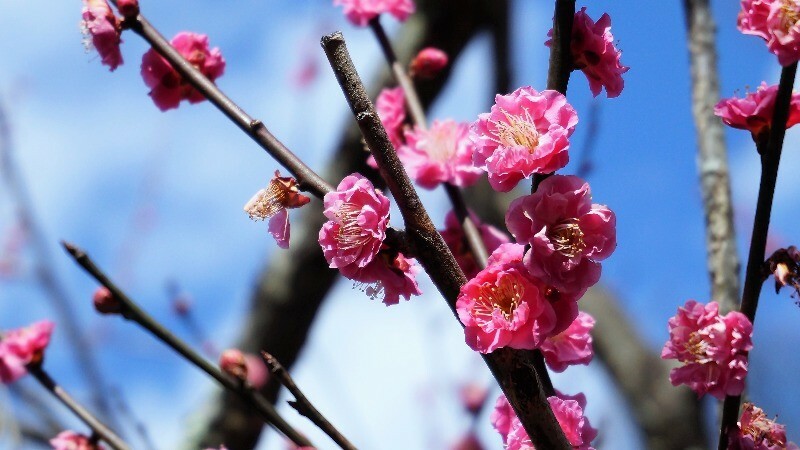 But did you know that the plum blossoms of this ancient capital are also exceptionally beautiful in February and March when they tell of the coming spring in Kyoto? The white, red, and pink plum blossoms color Kyoto in their brilliant shades. And some shrines and temples have events in their gardens, where you get to see the plum blossoms at their absolute best. 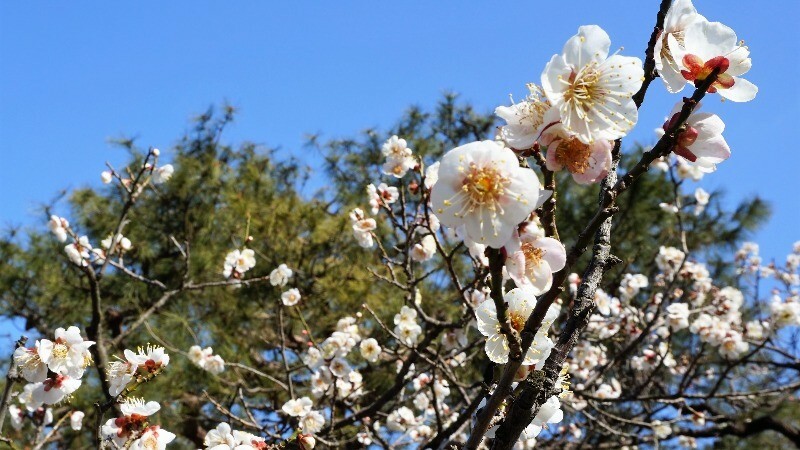 So let’s take a look at the 5 best plum blossom viewing spots and events in Kyoto! Kitano Tenmangu Shrine which enshrines the god of learning, Sugawara no Michizane, is maybe the most famous plum blossom viewing spot in Kyoto. There are over 2,000 plum trees at the shrine, of many different types and colors. Most of them blossom in February and are at their best in March. 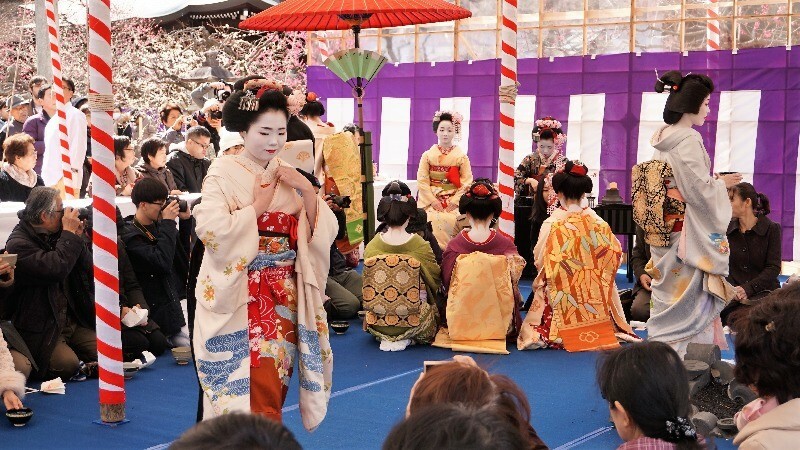 And you shouldn’t forget about the festival Baikasai which takes place on February 25, when you get to see maiko close up, and even drink tea poured by them. Getting to see beautiful plum blossoms and maiko at the same time is an elegant Japanese experience that you won’t forget. Blossom viewing season is from the middle of February to the middle of March. 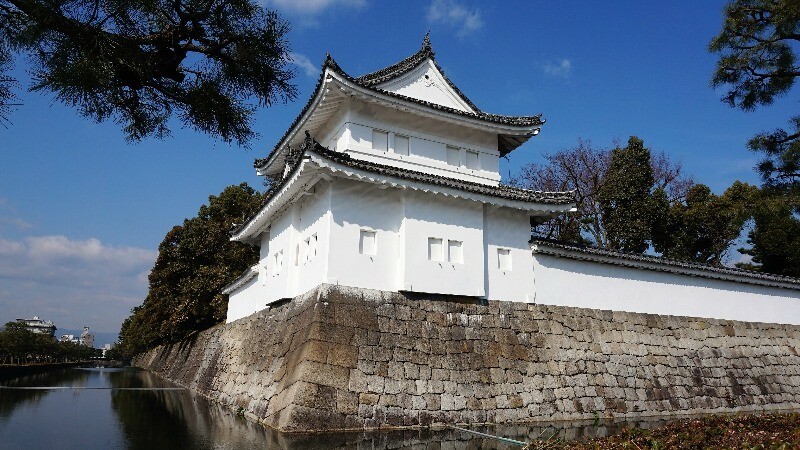 This castle, which used to be the residence of the shogun Tokugawa Ieyasu, is a place most people associate with cherry blossoms and autumn leaves. 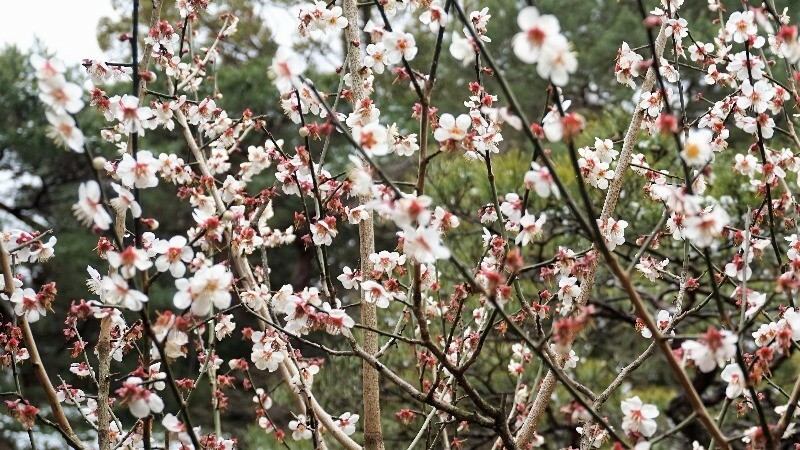 But in the gardens of the castle, you get to see countless plum blossoms and enjoy their fragrance and beauty. There are 130 plum trees in the castle garden, some of them white, some red, while others are weeping. The most special tree of the castle is the one that has both red and white blossoms; it’s also the tree most people want to see. Shimogamo Shrine is not only a World Heritage Site but also a shrine that holds Aoi Matsuri, one of the most famous festivals in Kyoto. 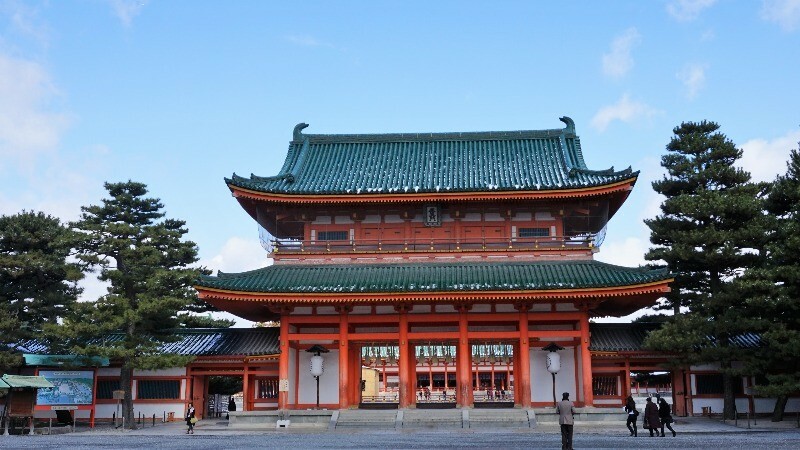 This shrine is also a place where you can pray for good marriage luck and longevity. 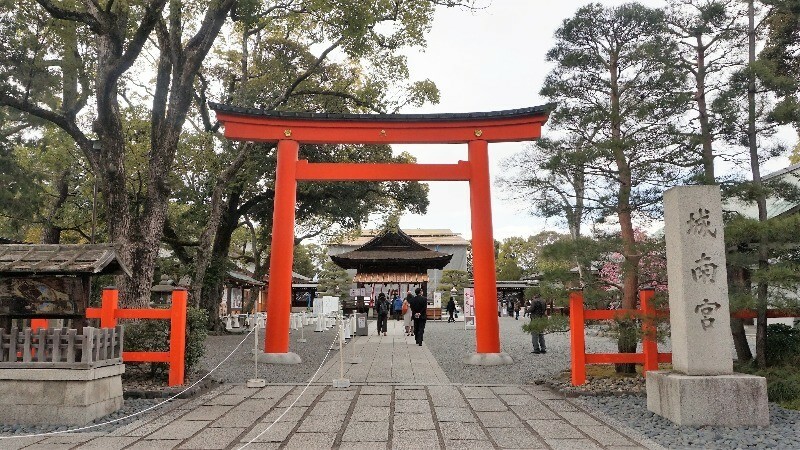 The most famous plum tree of this shrine is “Korin’s plum tree” which is featured in the famous painting by Ogata Korin called Red and White Plum Blossoms. Blossom viewing season is from the beginning of February to the first part of March. 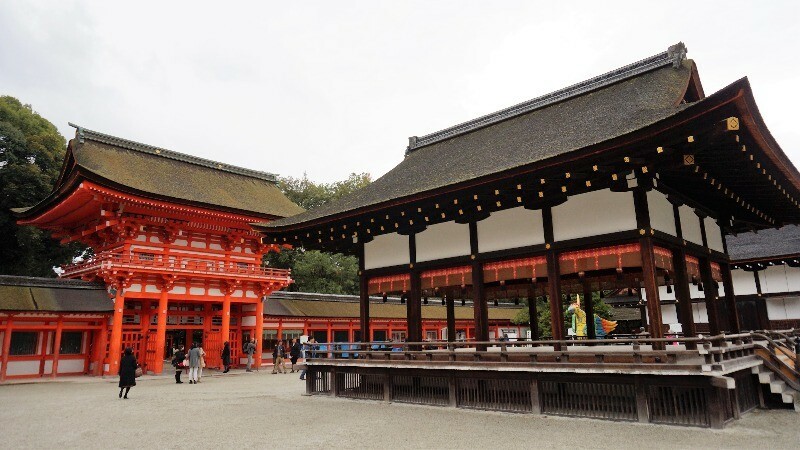 The huge torii gate of Heian Shrine, and the big temple grounds, and the extremely beautiful garden and the ponds in it, are all so beautiful it’s easy to stop in your tracks here. By the pond, you can listen to the quietness of the shrine, and look at the beautiful red and white plum blossoms; getting to take a walk here is blissful. Jonangu is a place where you can pray the evil spirits away, but there are also 150 weeping cherry trees at the shrine. The Japanese garden of the shrine is full of little meandering streams, and when you add the plum blossoms in full bloom to it, you have scenery that is so beautiful it’s without parallel. The weeping plum blossoms cover the sky like fireworks, and the scenery at the shrine is so vibrant you almost forget you’re at a place of worship. Japanese camellia also shows its red flowers during the plum blossom season, which are brilliant red globes in the middle of all the pink. So beautiful! Blossom viewing season is from the middle of February to the beginning of March. The four seasons in Kyoto are so colorful! In February and March, Kyoto is still a bit cold, but there are still quite many people here, who brace the cold to see beautiful plum blossoms! After the cold winter, Kyoto is heading toward spring, and everything around here seems to be alive. Before the cherry blossoms, it’s time to enjoy plum blossoms!